As our contribution to Culture Days Manitoba, guests are welcome at any of five keynote lectures at the GERG Inaugural Conference on what history can tell us about the multipolar 21st Century world. The lectures, at St John’s College, University of Manitoba, are open to the public. Attendance for a whole day (which includes lunch and refreshments and admission to all events) is $50. Register Here. Aimée Craft is an Indigenous lawyer and a professor of law at the University of Manitoba. 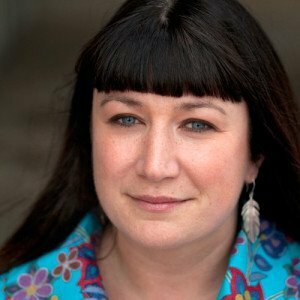 She was recently appointed as the Director of Research at the National Centre for Truth and Reconciliation. Her expertise in Anishinaabe and Canadian Aboriginal law. In her decade of legal practice at the Public Interest Law Centre, Professor Craft has worked with many Indigenous peoples on land, resources, consultation, human rights and governance issues. Her award-winning 2013 book, Breathing Life Into the Stone Fort Treaty, focuses on understanding and interpreting treaties from an Anishinaabe inaakonigewin (legal) perspective. Professor Craft is past chair of the Aboriginal Law Section of the Canadian Bar Association and member of the Speaker’s Bureau of the Treaty Relations Commission of Manitoba. In 2011, she received the Indigenous Peoples and Governance Graduate Research Scholarship. Johanna Brenner is Professor Emeritus of Sociology/Women’s Studies and a life-long activist in feminist, community, and labor solidarity movements. After spending four years as a telephone installation worker in the 1970s, she began her academic career at Portland State University in Portland Oregon where she served as the Coordinator of the Women’s Studies Program from 1982 to 2005 and taught in the Sociology Department until 2010. She is the author of Women and the Politics of Class (Monthly Review Press) and articles in scholarly as well as left journals. Her most recent publications include “21st Century Socialist Feminism,” (Socialist Studies), “Caring in the City,” (Jacobin), and “Selling Sexual Services: A Socialist Feminist Perspective,” (Logos: A Journal of Modern Society and Culture). Followed by a reception and booklaunch of Theoretical Engagements in Geopolitical Economy with editor Radhika Desai and four of the authors. Paulo Drinot, Latin American historian and co-editor of the Journal of Latin American Studies, writes widely on the history of Latin America especially Peru. Now at University College London he studied economic history at the LSE before receiving his Mphil and Dphil at Oxford. His main research focus is the history of Peru in the late nineteenth and early twentieth centuries. His thematic interests include labour history and state formation, racism and exclusion, gender and sexuality, the social history of medicine, and memory and historiography. His current projects include a an edited collection on the Revolutionary Government of the Armed Forces (1968-1975) in Peru, and an edited volume on comics and collective memory in Latin America. Kari Polanyi Levitt, born in Vienna in 1923, is the only child of Ilona Duczynska and Karl Polanyi, the author of “The Great Transformation”. Fleeing fascism she studied at the LSE’s wartime Cambridge campus before moving to Canada to where her numerous works include the minor classic Silent Surrender: The Multinational Corporation in Canada. She was instrumental in founding the Canadian Association for the Study of International Development and in 1982 produced Canadian Policy in the Caribbean, a 300-page report to the Sub-Committee of the Standing Committee on External Affairs and National Defence of the Canadian House of Commons. Prabhat Patnaik is an Indian economist and political commentator who taught at the Centre for Economic Studies and Planning in the School of Social Sciences at Jawaharlal Nehru University in New Delhi, from 1974 until his retirement in 2010. He was the Vice-Chairman of the Planning Board of the Indian state of Kerala from June 2006 to May 2011 and in 2008 was part of a four-member high-power United Nations task force chaired by Josephy Stiglitz, to recommend reform measures for the global financial system. 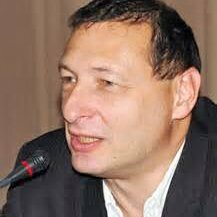 Boris Kagarlitsky, born in Moscow in 1958, was a dissident and political prisoner in the USSR under Brezhnev for more than a year, then a deputy to Moscow city council who was arrested again in 1993 under Yeltsin. Since 2007, he has run the Institute for Globalization Studies and Social Movements in Moscow, a leading Russian leftist think tank. He is the editor of the online magazine Rabkor and an author of numerous books, of which the two most recent to appear in English are ”Empire of the Periphery” (Pluto) and “From Empires to Imperialism” (Routledge). He is as prominent a critic of Western stereotypical reportage on Russia and Ukraine, as he has been outspoken in his criticism of the Putin Regime.